Hikes in Mnweni area. This area is commonly referred to as Mnweni. The Amangwane Traditional Authority Area includes Abhulesini, Kohkwane and Manzano. 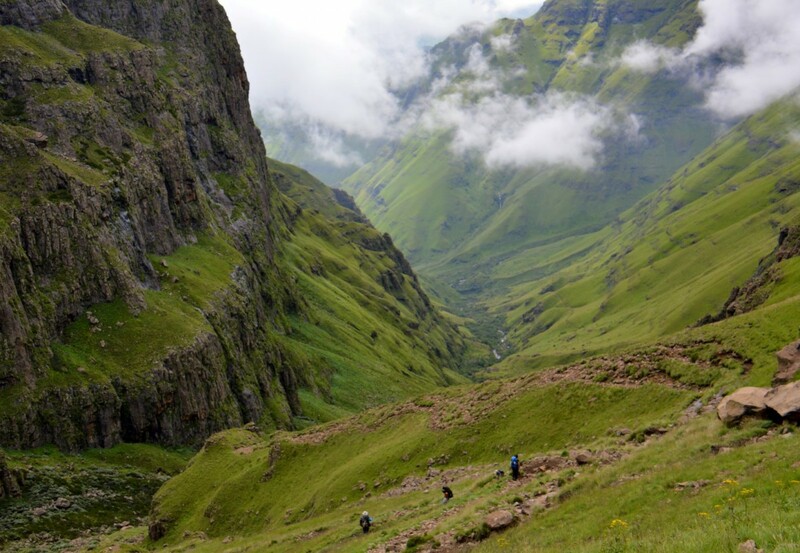 The Mnweni area of the Drakensberg is not only the most spectacular but also the only part of the range that does not fall within the Maloti-Drakensberg Park. The main valleys of the area - Mnweni, Ntonjelane, Ifidi and Icidi - top out among convoluted spires, turrets, buttresses and other impressive rock formations that give these mountains their reputation as a natural gothic edifice. The valleys, in contrast, offer some of the most sublime mountain scenery in the country. Whatever else you might leave at home, don't forget your camera. 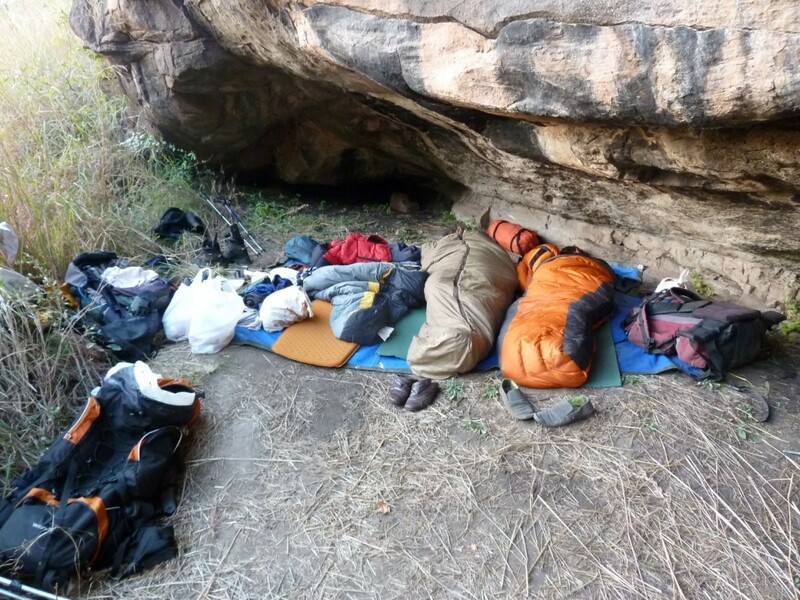 From the Mnweni Cultural Centre this is a long hike of 14.5km and elevation gain of 546m. The views from near the cave of Fangs and Mbundini pass are stunning. 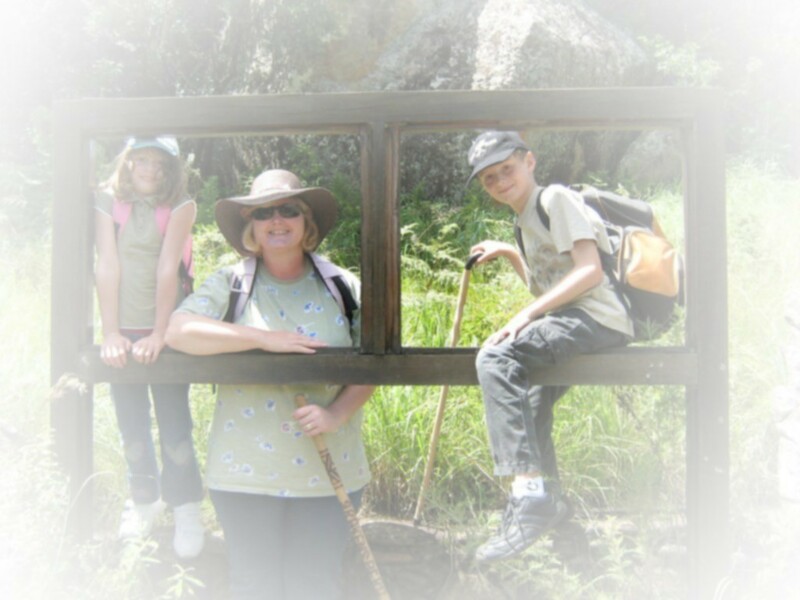 Starting at Mnweni Cultural Village this 9.7km hike is not very steep with a total elevation gain of only 255m. A 12.5km hike from the Mnweni Cultural Centre with an elevation gain of 347m. Rockeries Pass is a relatively easy way to reach the escarpment in the Mnweni area. Navigating your way along this pass is no problem at all because the path is clear.